Thinking of good gift ideas is easier if you understand one simple rule. It’s not about you; it’s about the person who will receive your gift. Finding the right gift for Christmas, an anniversary gift, a birthday present, or any other occasion means understanding the person for whom the gift is intended. This is a jewelry blog, so we’ll definitely explore jewelry as a gift choice, but no matter what kind of gift you give, giving a gift is an act of communication. You’re telling another person what you believe about them. If your view matches theirs, they’ll like the gift. If you haven’t been paying attention, though, you might get a confused look when they open up their present. Think back to the best gift you ever received. Chances are, you didn’t love it because it was expensive, or huge, or better than whatever your friend got for her birthday that year. You probably loved that gift because it was exactly right for you, wherever and whenever you were in your life. You probably loved it because it meant something. That meaning didn’t have anything to do with the item itself. It had to do with the fact that someone took the time to really think about you, then came up with the perfect gift idea. 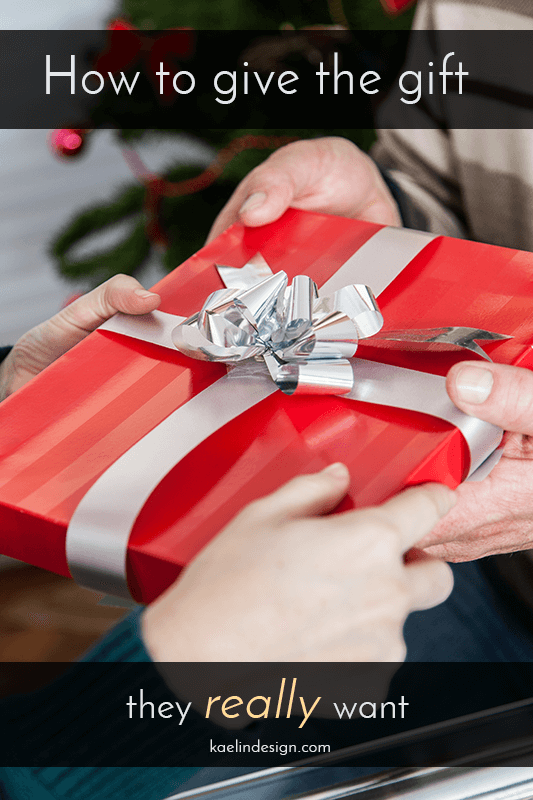 Here’s a good article about the psychology of gift giving. Conclusion? It’s the thought that counts. That’s really what gift giving is all about. The art of giving the perfect gift is about observation and effort. Observe the recipient, then make the effort to find the thing that matches. For example, a college student may appreciate a gift basket filled with treats that seem like luxuries because he can’t afford to buy them. But a retiree on a fixed income who is moderately tech savvy, loves books and can’t see very well to read would probably love a subscription to an audiobook service. People let you know what they want, one way or another. Sometimes they’re up front about it, like a 6 year old with a Christmas list. Some people will give you some gift ideas if you ask them what they want. Others drop subtle (or not so subtle) hints about what they’d like. Many people wouldn’t dream of asking for something, and others would be outright offended if they were asked to choose their own gift. Personally, I think some of the magic of a gift is gone once you’ve discussed it. There’s nothing better than surprising someone with their heart’s desire. And really, that’s why people drop hints. It’s a way of telling you what they want without actually telling you and seeming greedy. But unless you see the person every day, it can be really hard to figure out! So first, know your recipient. If you’re comfortable asking, and they’re comfortable telling, the easiest way to give someone what they want is to ask and then fulfill the request. Some families and friends are fine with that, which makes it really easy! Basically, the better you know the person, the easier it should be to find them the perfect gift. I say ‘should’ because just as all of us can think of our favorite gift ever, we can probably all think of a gift we received that was so not right that we kind of knew it was purchased in a last minute panic. The best way to know what someone likes is to pay attention. For example, you’re standing in front of a store window and she is visibly enthralled with the garnet pendant that’s front and center. She points it out to you to make absolutely certain you know which one she likes. Look for clues about taste and style. Each of these answers doesn’t do much on its own, but together might suggest a pattern. What does she point out about her environment? Is she drawn to certain things? If you’re shopping with her, which stores does she visit? What’s her style in home decor? You don’t have to give it a name, just get a feel for it. Is it casual, formal, or somewhere in between? What colors does she like? Same thing with clothing. What does she wear when she’s working? Is that different from what she wears after hours? What car does she drive? Does she have this car because it’s what she can afford, or did she choose it as a brand new purchase and get exactly what she wanted? If it’s a beater, then maybe you can’t tell much about her from it, but if she bought exactly what she wanted, then her car may hold some clues about what she likes and doesn’t. Think about her life and her personality. Does she like science and tech? Is she into crafts or DIY? Is she a fitness enthusiast? Does she stay in at night or do activities away from home? Does she prefer to spend time with a few close friends or is she the life of the party? Think about what she might want but won’t buy for herself. This is one of those situations where jewelry really is the perfect gift idea. Some people love jewelry so much they buy it for themselves on a regular basis (I love those people!!) while others enjoy jewelry, but see it as something special that they receive as a gift or buy for themselves for an occasion. If your recipient fits either of those profiles, you’re in the right place. Color – Gems come in a gorgeous variety of colors. What speaks to her? Scale – Big and chunky, or small and delicate. What appeals to her? Shape – Angles or swirls? Circles or squares? Story, mood – This one’s harder to explain and achieve, but it’s the most important part of the piece. When I make jewelry, it comes from a story. In my online gallery, I actually tell a bit of that story in my description of the piece. Just looking at a piece for a bit will give you a feel for the story behind it. It might even be different from the story I told, and that’s fine, because that’s what art is all about. Different people see different things. What is the story she will hear when she wears the piece? 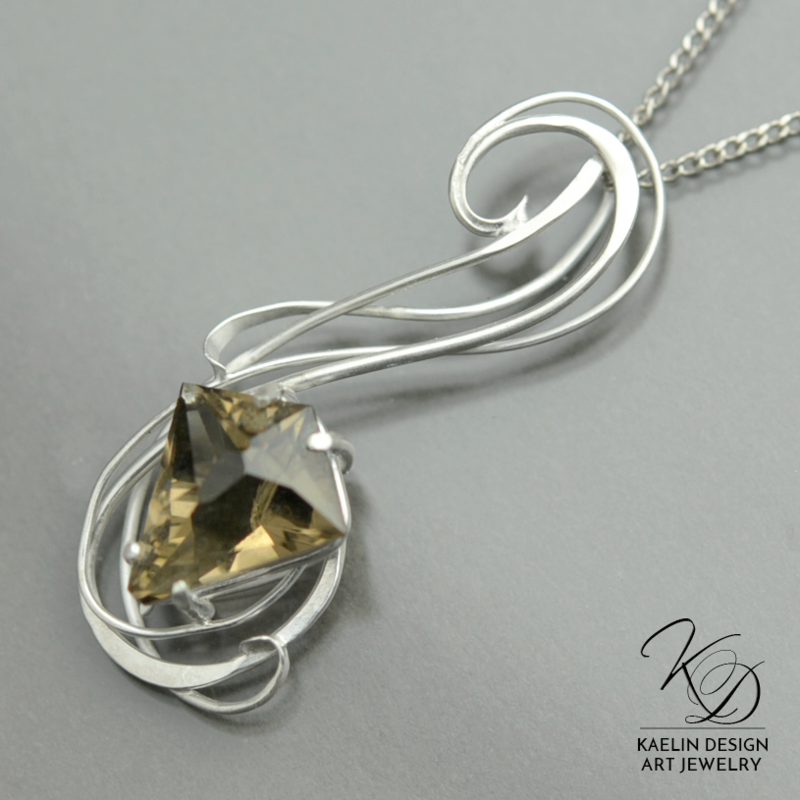 Browse the gallery to find a piece that suits her, or if you have a few weeks before the gift occasion, contact me and commission a custom piece. It’s not as expensive as you might believe, and think of how she will feel when you say, “I had this made especially for you.” And if you’re really stumped you can always gift her with the opportunity to select her own favorite piece with one of my gift cards. Even if you don’t have time to get a custom made piece, if you need help choosing something from the gallery, just shoot me a note, and I’ll be happy to help. Finding great gift ideas is a bit of an art, but it’s something anyone can learn. Listen, observe, and give with your heart. Like this post? You should join my newsletter! I share my art, jewelry knowledge, and gemstone lore about twice a week- And did I mention that my subscribers get special sales, and advance notice about all my latest work? If that sounds good to you, you should sign up!